Some patients contend that doctors themselves are late at times. But hospitals say that this can be expected at times as doctors have to attend to emergencies and as far as possible, they do notify patients of possible delays. Dr Fathey said many chronic patients who make appointments in the long-term also forget dates, making fresh appointments before the due dates. But whose responsibility is it to confirm or cancel an appointment? It’s the same case with other health care facilities too. “By putting a no-show fee we can potentially alienate our patients, who may have justifiable reasons for turning up late for an appointment, or not turning up at all,” said Rathore. 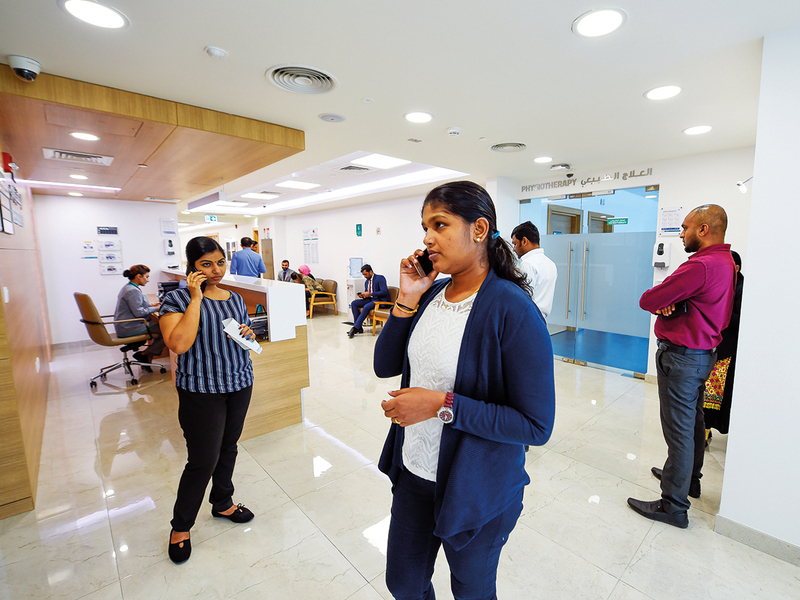 Also, as Dr Fathey explained, with mandatory health insurance being implemented, levying a cancellation charge is not as simple as it may seem. “Awareness campaigns about the importance of people turning up on time are more effective,” he added. It would definitely frustrate me if someone didn’t show up for their appointment or arrived past their scheduled time. I always try and reach early for an appointment. Patients can at least make a courtesy call to doctors to inform them of their late arrival. People should manage their time more effectively to arrive on time. It is imperative that a person informs the doctor if they are going be late or if it’s a no show. People should keep in mind the inconvenience they might cause to others by coming in late. Personally, I have been made to wait for long for my appointment, despite arriving on time as the doctor was attending to a patient who arrived 30 minutes past his scheduled time. Doctors should give preference to people who come on time. Most people don’t show up because of some valid reason. It might be urgent work, last minute problems or even traffic. Hospitals should make an effort to remind patients of their appointments, especially senior citizens, as they have a tendency to forget. With improved technology and apps in play, it shouldn’t be difficult to send a reminder. I always adhere to my doctor’s appointment. In fact, I try and reach at least 15 minutes early so that I can get my work done quickly and make others’ lives easier too. People should be charged every time they miss their appointment, this might ensure people stick to their appointment time. Doctors should also remind patients of their appointments via text or call. I generally arrive late for my doctor’s appointment. The prime reason being that the doctor usually arrives late to his clinic, so there’s no point in coming early. I have been made to wait several hours despite arriving on time, so I prefer going late to my appointment. Most hospitals are overbooked, So I don’t think that cancelling my appointment is a big deal. In fact, I think I am doing hospitals and other patients a favour by not showing up. This way people who require more medical attention can be addressed more quickly. A ‘no- show’ here and there shouldn’t affect them.